FILE - Screen grab of purported Islamic State video threatening terror attack on Washington, D.C. Video authenticity has not yet been independently confirmed, Nov. 16, 2015. Their average age is 26. Eighty-six percent are male. Most use Twitter and other social media to find and spread propaganda. But other than that, there are frustratingly few traits in common among individuals in the United States who support the Islamic State group, according to a new study. The report, titled "ISIS in America: From Retweets to Raqqa," is an attempt by the George Washington University's Program on Extremism to provide a snapshot of the "small but active" group of Americans and other U.S.-based individuals who are infatuated with the Sunni Muslim extremist group. But after spending six months going over court records, social media posts, and U.S. officials' statements, the authors struggled to identify a typical profile for an American IS supporter. Instead, they found the group to be "incredibly heterogeneous" and motivated by a wide range of factors. "The profiles of individuals involved in ISIS-related activities in the U.S. differ widely in race, age, social class, education, and family background," said the report, authored by Lorenzo Vidino and Seamus Hughes. "Their motivations are equally diverse and defy easy analysis." Since March 2014, 71 individuals in the U.S. have been charged with IS-related activities in 21 states. 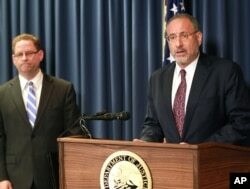 FILE - United States Attorney Andrew Luger, right, and FBI special agent Richard Thornton explain the criminal complaint charging six Minnesota men with terrorism at a news conference in Minneapolis, April 20, 2015. ​In total, there are 900 active investigations into IS sympathizers – some in every state, the report found. Some of those arrested were as young as 15, others were nearly 50. And although the overwhelming majority were male, the authors found that more and more women are becoming attracted to the group. Females, for instance, make up nearly one-third of the 300 U.S.-linked social media accounts actively spreading IS propaganda, the report said. The report also presented a complex mixture of ideological and personal motivations. Many, as could be expected, were religious radicals, some having formally studied Islam. Forty percent were Muslim converts. Others appeared to have little to no experience with the faith, instead appearing to be thrill seekers drawn to the savage violence committed by IS. Some recruits appear to be drawn to the group in part because of political causes, cultural differences, or feelings of disenfranchisement with American culture. In other cases, individuals began to support IS following traumatic, life-changing events, the report added. FILE - Douglas McAuthur McCain, a U.S. citizen, believed to have been killed in Syria fighting for the Islamic State group. U.S.-based IS supporters also represent a wide range of threats, ranging from those who are merely "inspired" by the group to those who have taken concrete steps to support it. As of fall 2015, 250 Americans have either traveled or tried to travel to Syria or Iraq to join Islamic State, the report said, quoting official U.S. estimates. 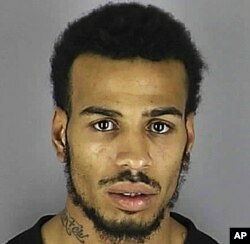 Many have also been directly involved in plots to carry out attacks on U.S. soil. A few, the report said, have even reached "mid-level leadership positions" in IS. But the report concludes that most U.S.-based IS supporters "will never make the leap from talk to action, from being keyboard warriors to actual militancy." "Some will mature out of what is just an awkward adolescent phase. Others simply lack the personality traits necessary for committing terror attacks or setting out for ISIS territory. On a more mundane level, others find themselves restrained by the practical commitments of their daily lives," it said. 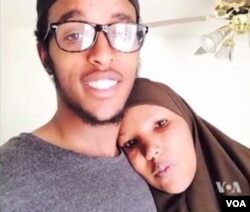 FILE - Abdi Mohamud Nur, shown in this undated photo with his mother, right, is believed to be fighting in Syria. Islamic State's radicalization process has been greatly aided by social media, allowing it both to recruit new supporters and potentially call on them to either travel to the Middle East or carry out attacks at home, the report said. While stressing there is no "silver bullet," the authors recommended a comprehensive approach to "blunt ISIS' allure," including stronger intelligence gathering, renewed law enforcement tactics, and putting a greater emphasis on countering the group's message. "Unfortunately, the resources devoted to countering violent extremism (CVE) by the U.S. government remain woefully inadequate for the task at hand," it warned. "Robust funding and dynamic programs are needed immediately." 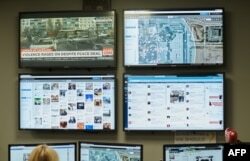 FILE - After reports of threats, Mall of America Director of Security Major Doug Reynolds explains the social media monitoring team during a tour of the mall's security systems in Bloomington, Minn., Feb. 23, 2015. "ISIS in America: From Retweets to Raqqa"